There are few places in the world more far-flung than Mongolia. This central Asian country borders Siberia—known colloquially to many as the “edge of the world”. 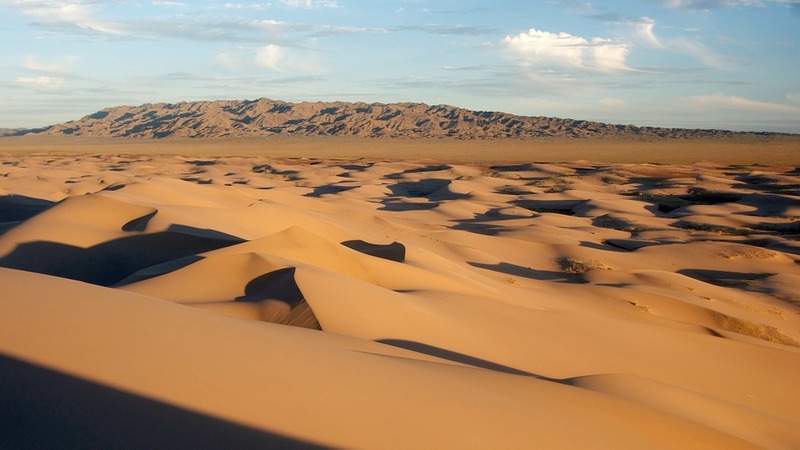 Within the Gobi Desert, travelers can climb cliffs to see ancient petroglyphs, visit the spot where dinosaur eggs were first discovered, and climb the Khongor sand dunes—the largest and most impressive in the world. Adventurers can visit gorges, climb cliffs, and explore caves. Photographing wild reindeer is a popular experience, and meet Kazakh hunters (and their golden eagles) is very common. Because much of your trip will be spent outside, bring plenty of sunscreen, a hat, a bandana (it can get very dusty), and plenty of moist towelettes—unless you are paying for a top-end lodge, there are no showers in the Gobi. In the evenings, visitors can stay in “ger” (yurts), the felt tends used by nomadic peoples of Mongolia. This camping experience is warm and comfortable, allowing travelers to have a genuine experience. Not in the mood for a camping trip? Guesthouses and hotels are scattered throughout the region, allowing for several options. Everybody taking care of us was so nice! I couldn’t believe the amount of hospitality. It feels like you’re both at home and in the middle of nowhere. I spotted a golden eagle while there!